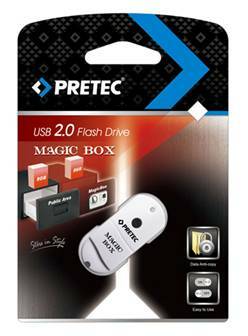 Taipei, Taiwan (August 27th) - Pretec, creator of world’s smallest USB flash drive since 2002, 1st waterproof, fireproof, bulletproof USB flash drive since 2005, and 1st Secure CF Card since 2006, continues its innovations with the new MAGIC BOX USB Flash Drive, designed for users in need of affordable, very easy-to-use protected data storage with privacy to fend off malicious attempt online and offline, or simply as an easy area of privacy for personal data storage. later enjoy secure data storage with easy log-in and log-out. MAGIC BOX also prevents brute force attack with log-in delay upon 3 times of wrong password input, and automatic lock up upon 6 times of wrong password input. protected space), MAGIC BOX is now ready for order and shipment worldwide with suggested retail price USD$26. 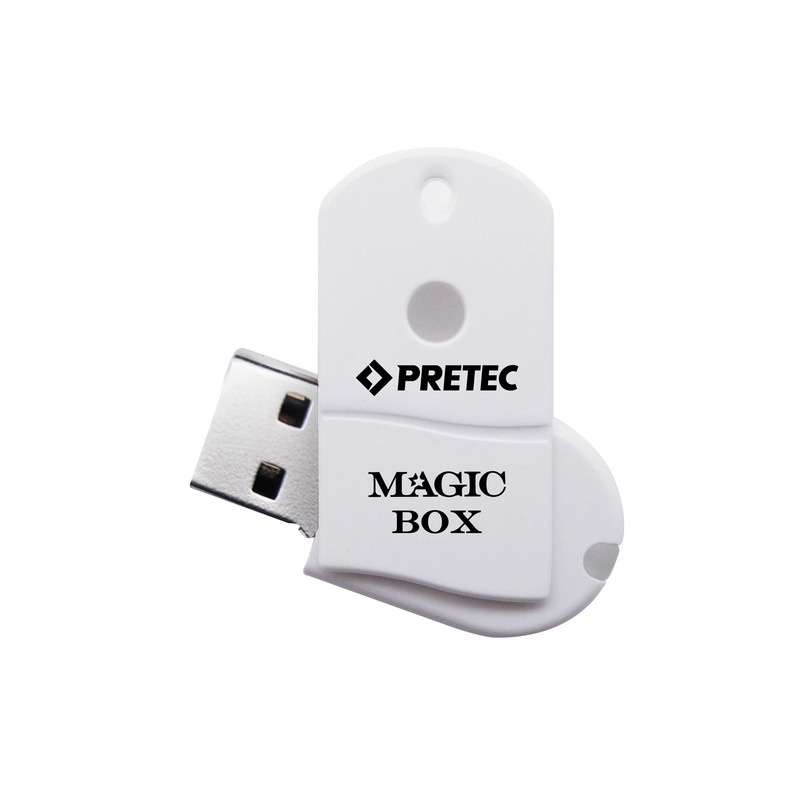 Pretec™ (http://www.pretec.com) offers a complete spectrum of USB flash drives, memory cards, card readers such as CF, SD/MMC, embedded storage, and wireless communication devices for digital imaging, mobile communication, and industrial flash markets. As the 2nd company in the world to offer CF cards since 1995 and the company to create CF I/O and SD I/O cards since 1998, Pretec has consistently demonstrated the highest capacity flash cards in the world: such as CF 128GB and SDXC 64GB; the fastest flash card in the world: such as CF 888X, SDHC/SDXC 667X. With more than 200 patents, Pretec has also been offering the smallest USB flash drive in the world with unique technology: such as i-Disk Tiny (“Best Gear of 2003” by TIME Magazine) and i-Disk Diamond; the most reliable flash card in the world: such as rugged PCMCIA, rugged CF card, and i-Disk Bulletproof, a water-proof, fire-proof, and bullet-proof USB flash drive. Starting from 2009, Pretec worked with Bruce Lee Enterprise to launch world’s 1st collection of Bruce Lee USB flash drives to celebrate its 70th anniversary. By cooperating with artists from the world, Pretec has been able to successfully combine technology and cultural creativity altogether. mentioned herein are recognized as the property of their respective holders.